Unusually high energy bills. 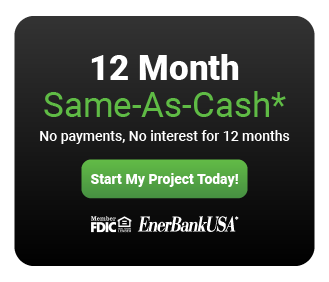 If it seems that your energy bills are higher than they should be for the current time of year, chances are your windows aren’t performing as they should. Other indicators that your home may be losing energy include light coming in through gaps between the window and frame, noticeable drafts and cold window glass. While new replacement windows will definitely take care of this problem, they also come with an added benefit: if you’re planning on putting your home on the market sometime soon, new energy-efficient replacement windows and the energy savings they bring about can be a wonderful selling point. Damage & decay. If you’ve noticed that one or more of your window frames has started to decay, this is very clear evidence that a window replacement is required. 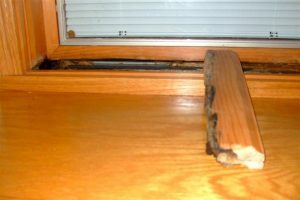 As we all know, wood is particularly susceptible to moisture damage, so it’s not unusual for homeowners to find signs of decay on their wood windows, especially if they own an older home that has retained the original windows. Damage such as this, along with glass that has cracked and metal frames that have warped, can all lead to window leaks. While a little water leaking occasionally during strong storms may not seem like something to worry about, even a relatively small amount of water can cause moisture damage if it gets into your home. This could then lead to the formation of mildew and mold, both of which can put the health of your family at risk. Windows that are hard to open (or close). Operating your windows is meant to be effortless. Little to no force should be necessary to manipulate your windows, and it definitely shouldn’t require a significant amount of muscle. You want your windows to glide smoothly open and close just as easily. There is really nothing to do for windows that won’t stay open or which constantly stick or swell except to replace your windows. Moisture build-up. When window seals break, moisture will begin to seep into your home through the breach. One of the first signs of a broken window seal is the appearance of what looks like fog between glass panes where the moisture has collected in the form of condensation. While you can replace the glass for a temporary fix, in the end, the entire window will have to be taken out and replaced if you want to achieve an energy-efficient home. Replacement windows are definitely an investment, but the beauty, functionality and energy efficiency of the Infinity® from Marvin replacement fiberglass windows we install are well worth the cost. If you want to add value to your home, increase its curb appeal and reduce your energy bills, give Callen a call today at (414) 765-2585 and set up a free no-obligation consultation to discuss if it’s time to replace your windows.